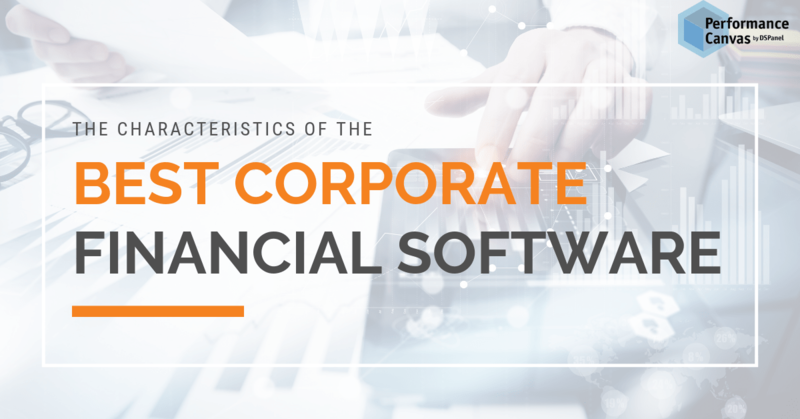 It is no secret that many vendors of corporate finance software claim to have discovered the secret ingredients which make up the best corporate financial software. The truth is that most of these vendors look into what competing vendors are offering and then imitate subtly or unsubtly. The challenge then for vendors who want to stay ahead of the game is to solve accounting problems more intelligently than its competitors, offer cutting-edge, well thought through and genuinely useful capabilities that address financial pain points, and to offer a solution that is easy to install, setup, upgrade, and maintain. Above all, this new financial system software must be reasonably priced. Simply put, with the market saturated with various vendors offering what they claim as the “best corporate financial software”, customers have understood that they can demand several capabilities for as low price as possible. Gone are the days when customers felt they had no choice but to accept a 9-12 months implementation of a software and gone are the days when customers felt it was acceptable to spend a significant amount of money on system customization just to get the software to make sense for their business. Today, if a financial system software does not allow a customer to model its business into it or if it takes too much time and effort to implement or even learn, then that software is out in the evaluation process. Performance Canvas Financials is a complete, cloud-based FP&A software that allows finance users to cut down time spent on financial planning & analysis by 50-90%. It also aims to do away with all the problems associated with performing financial planning & analysis in Excel spreadsheets without subjecting the finance users to a tool that is hard to learn and accept. One of the main takeaways that users get out of Performance Canvas Financials is that with this FP&A software, a company can get a clear, uncomplicated view of their financial and non-financial data through visual reports, easy to understand dashboards, and KPI analysis. It also empowers organizations to perform what if analysis so that they may test the impact of their alternative decisions across the organization and it allows finance users to increase the accuracy and reliability of their forecasts and plans. Performance Canvas Financials offers a capability that no other vendor can offer. A very easy and fast install and setup of its cloud FP&A software. Most vendors will have a hard time offering free trial or even demo-ing customer´s data in their software because the truth is that most of these financial system software require customization which means to effectively demo customer´s data or to be able to offer free trial, they have to shoulder the costs of a few days or weeks consulting to get it to work in the way they want. Performance Canvas Financials takes pride in offering ready-to-use, off-the-shelf finance modules that immediately give instant access to comparison of actuals vs budgets or live forecasts in just a matter of minutes. With Performance Canvas Financials, a leap of faith is not necessary because one – you get to try out the software first and play around with it. Two – you can start small and gradually by starting out with just your financial data. Once you feel ready and comfortable, you can then extend your corporate finance software to include sales or project or purchasing´modules. Performance Canvas Financials is primarily available now in the cloud. However, for those that are not ready yet to fully transition to the cloud, on premises or hybrid deployment is also available. Performance Canvas Financials is more than just an FP&A software. It is packed to the brim with rich BI functionalities that empower its users to do more with its data. This corporate finance software allows an organization to visualize data easily so that they can be utilized in easily digestible terms. A financial system software that does not allow an organization to tie its technological investments together is a waste of time and money. This is why Performance Canvas Financials offers different ways of easily integrating or reading data from various systems. Performance Canvas Financials have an onprem connector, cloud ERP integrator, SIE4 integrator, and of course an easy way to load excel sheets into the system among other things. While it sounds so simplistic, having smart team collaboration features within Performance Canvas Financials make a huge difference in the execution of FP&A. Simple things such as being able to send back only portions of the sheets for modification and approval, versioning features, in-system emailing or approval workflow, these features all make performing FP&A less error-prone and time consuming. Performance Canvas Financials primarily operate through deploying best practices in the FP&A arena by incorporating these into the financial system software For example, you can do driver-based budgeting and planning, allocations, FX analysis, AR/AP analysis, profitability analysis, what-if scenario planning, and many more. If you are looking for the best corporate financial software or if you want to see an online demo or avail of a free trial of Performance Canvas Financials, visit www.performancecanvas.com or email info@dspanel.com.